When you are looking to buy a manufactured home, several options are available to you. Below is a list of only our members that have retail centers or communities where you can buy a manufactured home. You can use the search boxes to search by company, city or category. You can also sort the list by clicking on the column headings. 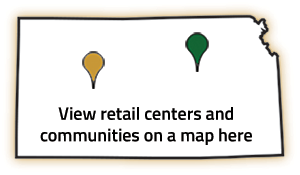 Our interactive map at the right is another easy way to find retail centers or communities near you. If you are looking for a complete list of our members or other services related to manufactured housing, view our complete membership directory here. 3636 W. 44th Street S.